Michael Lavina has 4+ years of experience leveraging data in marketing, operations, and financial environments in order to maximize profit, drive strategy, and uncover growth opportunities in both the gaming/hospitality and real estate industries. He has a Bachelor’s in Political Science from Hanover College, an MBA from the University of Louisville, and is currently pursuing a Masters in Analytics (MScA) degree at the University of Chicago while working full-time. He also recently spoke about analytics at the 2015 Retail and Consumer Goods Analytics Summit. Why did you choose to study an MBA? I chose to study an MBA because I wanted to gain a holistic understanding of the different aspects of a business. I think the MBA is a great way for someone interested in business to learn about marketing, operations, human resources, finance, accounting, etc., while also being able to put that business function in its strategic and big picture oriented context. I received an MBA right after I graduated from Hanover College, which is a bit unique and somewhat of a caveat for the comments I make henceforth. I gained exposure during my MBA from both the academic side as well as the work experience side, working full-time through the duration of the one year program. After completing that, what interested you in pursuing your MSc in Analytics? As my career progressed, I began to see the power of analytics in a business setting. Analytics is an area of high growth for a lot of companies from the employment aspect while also being very impactful for a business. Often cited is the McKinsey study, which argued for the value of Big Data, but with a “shortage of talent necessary for organizations to take advantage…The United States alone could face a shortage of 140,000-190000 people with deep analytical skills as well as 1.5 million managers and analysts with the know-how to use the analysis of big data to make effective decisions.” This statement resonated with me, and I wanted to get more technical and gain more quantitative experience to adapt with the changing times. As much as I enjoyed my MBA, I realized that having a deep analytical background is also necessary for my career goals. Most MBA programs teach some basic statistics as a part of their curricula, but it tends to be far less quantitative in nature. How do you think these degrees will connect in your career? I think my MBA and MScA degree are excellent complements to one another. I am now able to combine the strategic decision making and big picture emphasis that my MBA emphasized with the quantitative and detail-oriented technical side that the MScA degree has allotted. I can not only do analytics on a large set of data, I can make conclusions, derive insights, manage the project, and present it to clients or internal stakeholders. My graduate level degrees have allowed me to function as an analyst, a consultant, a manager, and a project manager. If you could do it again, would you have chosen to do your MSc or MBA first? When I graduated undergrad, there was only one analytics Masters program in existence and I was unaware of it. It’s only in the past few years or so that the Analytics Masters degree has taken off, as universities saw the interest from their customers/students as well as employers. I had an interest in numbers and data all my academic life, but never saw the career path for it in a deep way. I remember being in high school in math classes always wondering when I would use the various mathematical formulas and such in a career and never getting a satisfactory answer. As a result, when I considered further education, the thought of getting an analytics degree never crossed my mind. That being said, if I knew then what I know now, I would have pursued an MScA degree prior to an MBA. I think they are both worthwhile degrees, but I personally think an MBA is much more valuable a learning experience when one has multiple years of work experience to make connections to the academic learning that occurs in the classroom. I still see the value in both and would still get both if I could go back in time, but I think I would have reversed the order because I think getting a focused degree earlier on probably would go further. 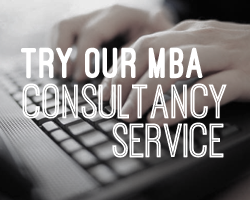 Do you have any advice for people choosing between an MSc or MBA? on statistics as well as individual types of analytics (customer analytics, risk analytics etc). 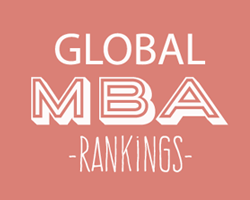 In short, an MBA covers more breadth while an MSc tends to cover more depth. I think the first step in choosing which to pursue is to understand that tradeoff. I think another thing to consider is of course the career path of each person. If your goal is to get into management, an MBA is probably the better route to take. If your goal is to specialize though, I would probably lean towards an MSc. All of that being said, I think the MBA is still the time honored degree that every employer will respect. There are of course also financial considerations as well as time considerations for each, and the only words of wisdom I can really give in that aspect would be to minimize debt as best you can, and find the program that is the best fit for you. Some programs (both MScs and MBAs) are now going fully online, so that is certainly something to look into in terms of expanding your geographical options. My last piece of advice would be to utilize the free online course options on Coursera and EdX to help you to decide which degree type to possibly pursue. 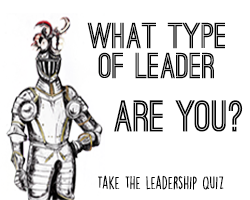 I would advise prospective MBAs or MSc students to take a class or two on there as a way of making sure that whatever path each individual person decides on is right for them.